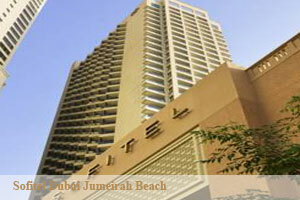 This 5-star hotel is located 100 metres from the beach at Jumeirah Beach Residence on The Walk. It offers accommodation with panoramic views of the Arabic Sea, a sauna and gym facilities. Spacious rooms at the Sofitel Dubai Jumeirah Beach offer modern furnishing and private balconies. They are fitted with modern flat-screen TVs and free Wi-Fi. All include bathrooms with a separate bath, shower and bidet. Italian cuisine with a twist is served at the hotel’s Rococo Restaurant. Guests can enjoy home-made pastas and a generous selection of wines and typical grappas. The hotel offers a free shuttle service to nearby shopping malls and provides free on-site private parking.